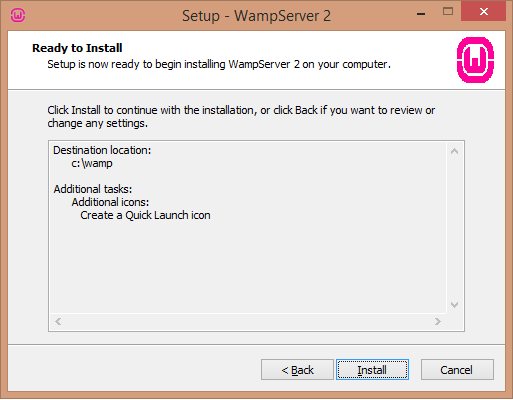 In this Tutorial you will learn now to install WAMP Server on a Windows Box. 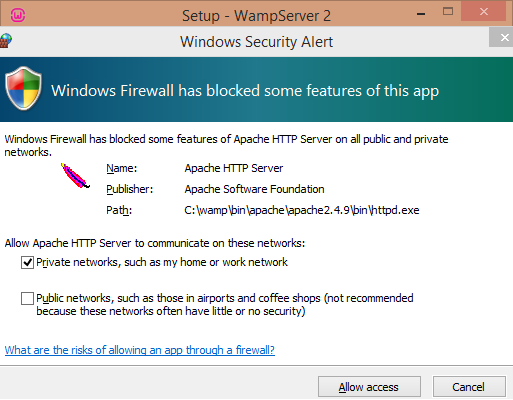 The acronym for WAMP stands for Windows, Apache, MySQL, PHP. Apache is the most important one in WAMP which is used to run the web server in Windows OS. 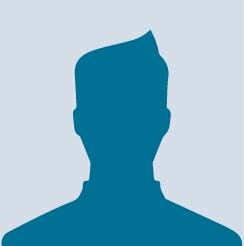 MySQL is the database and PHP is the scripting language which is also included in this package. 2. 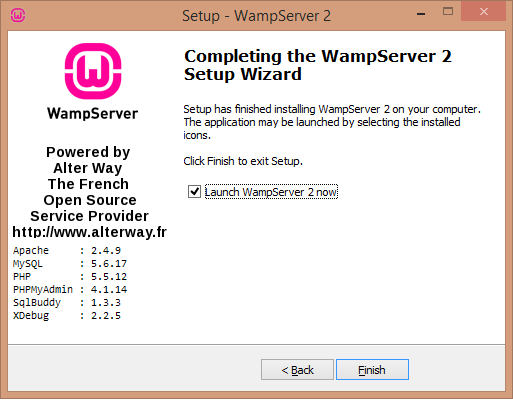 Click on the download directly link and download the wamp server. 3. 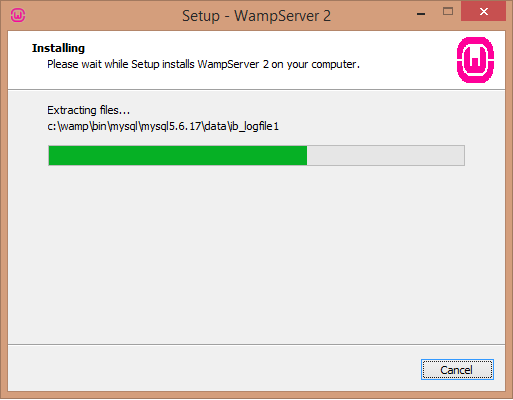 Once you've downloaded the Wamp Server, double click on the downloaded exe. You will get the below screen. Click Next button. 4. 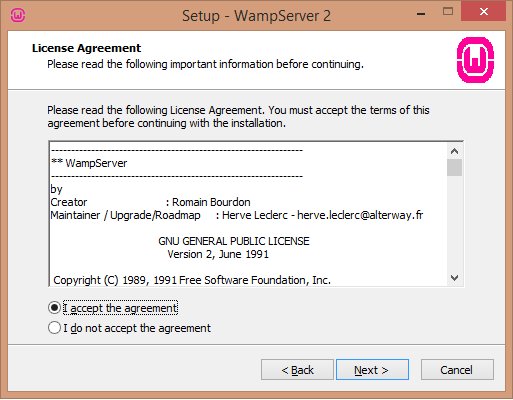 From the License Agreement screen shown below, select 'I accept the agreement' and click Next button. 5. 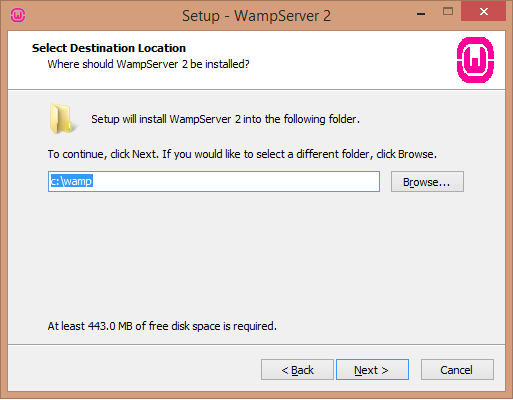 Next select the destination location where the Wamp Server should be installed. By default it will show C:\wamp. You can change the path to any directory as you wish and then click on the Next button. 6. Next is the Additional Tasks screen. You can create a Quick Launch icon or Desktop icon as you wish. Then click on the Next button. 7. Click the Install button from the below screen. 8. The installation will process as shown in the below screen. 10. 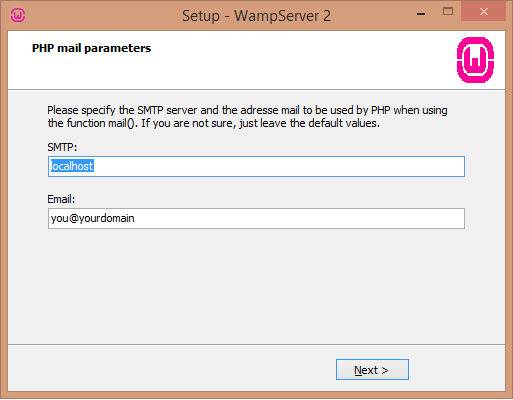 Specify the SMTP server and Email address in the below screen. While installing on the local system, leave it as mentioned in the below screen. 11. Now the set up is completed. 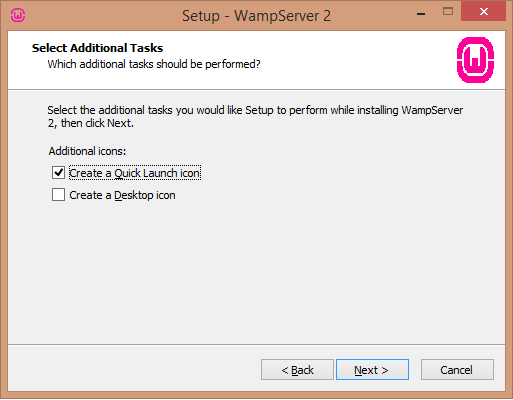 Click 'Launch WampServer 2 now' and then click Finish button. 12. Once everything is completed, you can see the Wamp Server icon in the task bar in Green color. If there is any problem, then you could have seen some other colors like red, yellow. 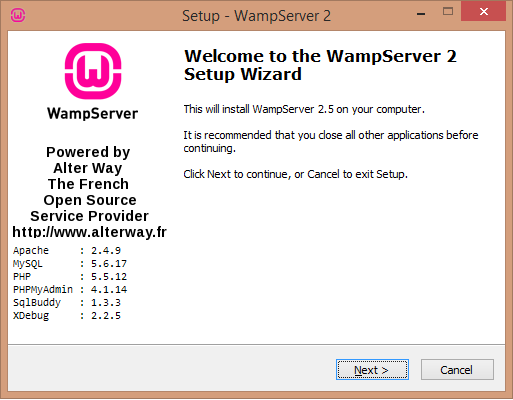 Now the Wamp Server set up is ready and you can verify the same by typing http://localhost in any browser and you will get the Welcome page.